Just a few steps of the heart of Chora and St. George beach stands these value for money deluxe apartments, well known as Naxos Evilion (Ex Gerontakis studios) since 2000. 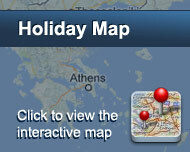 An ideal choice for couples and for family vacations. 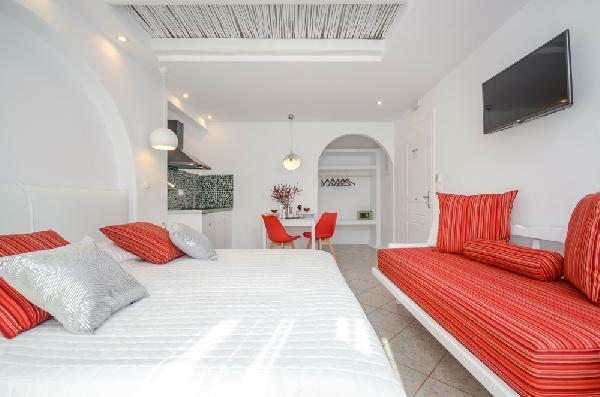 The building that now forms Naxos Evilion (Ex Gerontakis Studios) with six deluxe apartments was fully remodeled with sympathy to traditional Cycladic style and makes the difference thanks to their design, comfort and homey ambience. Comforts and amenities : Air conditioning, refrigerator, dining table, coffee maker,bathroom with shower, hairdryer, bathroom amenities, wi-fi internet, transfer from the port and airport, private parking. Είστε ιδιοκτήτης ή διευθυντής στο Naxos Evilion (Ex Gerontakis Studios); Εγγραφείτε τώρα για δωρεάν εργαλεία, που μπορείτε να χρησιμοποιήσετε για να βελτιώσετε την καταχώρησή σας και να συνδέσετε την ιστοσελίδα σας και το σύστημα κρατήσεών σας.